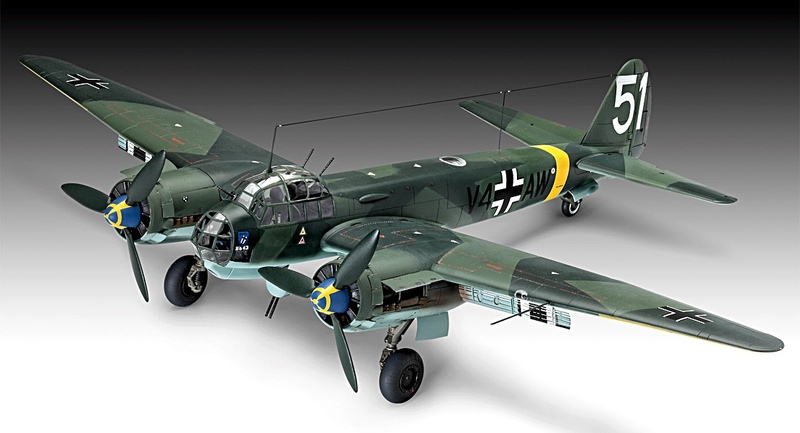 DUE FOR RELEASE IN JANUARY 2018 is a 1:32 scale Junkers Ju 88 A-4 from Revell, and it will be an '88' with a difference. 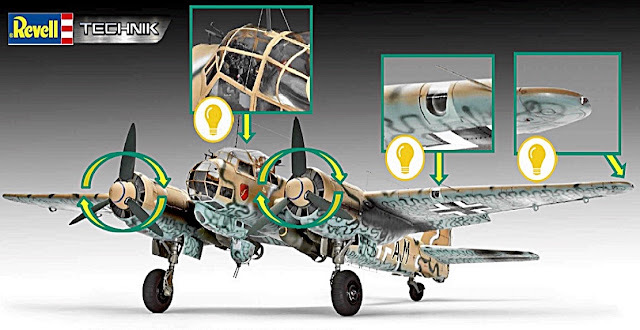 SMN report: The big news for this Ju 88 kit (though it won't be cheap) is the inclusion of the 'Technik' element. Basically, Revell will be offering a range of electronics with the model to transform it into an impressive display piece. Engine one startup and spin propeller. Looks like the Revell Ju 88 will make an interesting build, and the big 1:32 scale should make those electronic gizmos worthwhile.